Booking restaurants in Paris can be a nightmare. Even for those who speak French, simply getting a human being on the other end of the phone can be a challenge. Thankfully, a growing number of good tables are now bookable online. Below, you’ll find the restaurants in our guide that accept reservations through the click of a button. Pirouette – Modern & creative. Reserve through their website. Verjus – Contemporary tasting menu. Reserve through their website well in advance. Ellsworth – Small plates, brunch. Reserve through their website. 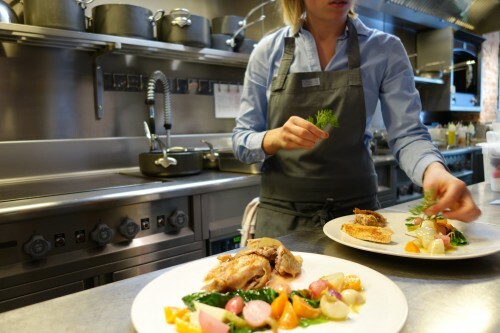 Le Meurice – Haute cuisine. Reserve through La Fourchette. Olio Pane Vino – Italian. Reserve through La Fourchette. L’Écume Saint Honoré – Oysters & shellfish. Book through La Fourchette. 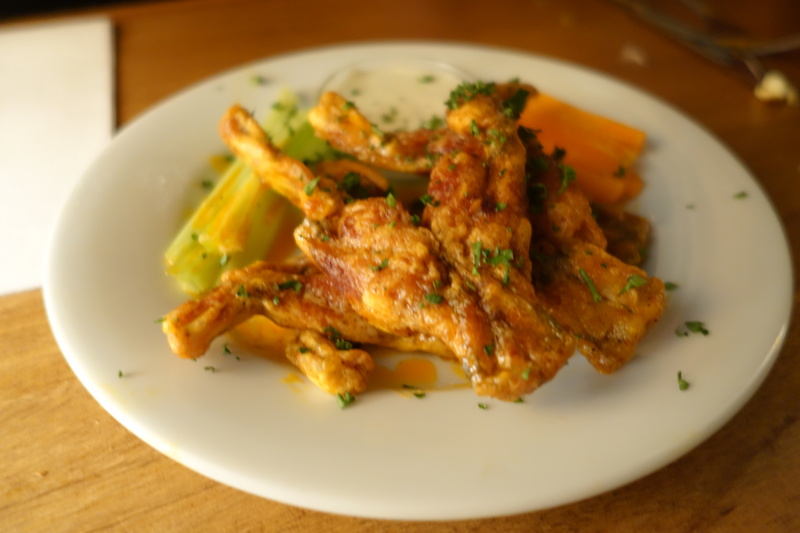 Pinxo – Basque small plates. Reserve through La Fourchette. La Dame de Pic – Haute cuisine. Book through La Fourchette. La Régalade – Saint Honoré – Classic French. Reserve through La Fourchette. Willi’s Wine Bar – Classic French. Book through La Fourchette. Macéo – Classic French. Book through La Fourchette. Issé Izakaya – Japanese. Reserve through La Fourchette. Beef Club – Classic French, steak joint. Reserve via e-mail at reservation@eccbeefclub.com. Camélia – Modern French. Book online through La Fourchette. Sur Mesure – Haute cuisine. Reserve through La Fourchette. Zébulon – Modern French. Reserve through La Fourchette. Café des Abattoirs – Classic French, steak joint. Reserve via their website. Les Fines Gueules – Classic French. Book through La Fourchette. Frenchie – Contemporary tasting menu. Reserve through La Fourchette well in advance. Saturne – Contemporary tasting menu. Reserve through La Fourchette. Hero – Korean, fried chicken. Book through their website. La Marée Jeanne – Seafood, oysters & shellfish. Book through their Facebook page. Le Petit Vendôme – Classic French. Book through La Fourchette. Drouant – Classic French. Reserve through La Fourchette. Aux Lyonnais – Classic French. Book through La Fourchette. Goust – Modern French. Reserve through their website. Il Campionissimo – Italian & pizza. Book through their website. La Bourse et La Vie – Classic French. Reserve via their website. Le Rubis – Classic French. Reserve through La Fourchette. Les Jalles – Classic French. Reserve through La Fourchette. Liza – Lebanese. Book via La Fourchette. Le Mary Celeste – Small plates, cocktails. Book via their website. La Briciola – Italian & pizza. Reserve through La Fourchette. Glou – Modern French. Reserve through La Fourchette. Café des Musées – Classic French. Reserve via their website. MG Road – Indian. Reserve through their website. Benoît – Classic French. Book through La Fourchette. Grand Cœur – Modern French. Book through their website. Jaja – Modern French. Reserve through La Fourchette. La Tour d’Argent – Haute cuisine. Reserve through their website. Le Pré Verre – Modern French. Bookings through La Fourchette. Ze Kitchen Galerie – Modern French. Book via La Fourchette. Guy Savoy – Haute cuisine. Reservations via their website. Allard – Classic French. Reservations through La Fourchette or their website. Fogón – Spanish. Reservations through La Fourchette. Restaurant AG – Modern French. Book via La Fourchette. Restaurant David Toutain – Contemporary tasting menu. Reservations via e-mail at reservation@davidtoutain.com. Chez L’Ami Jean – Modern French. Book through their website or Facebook. Clover – Modern French. Reservations via their website. 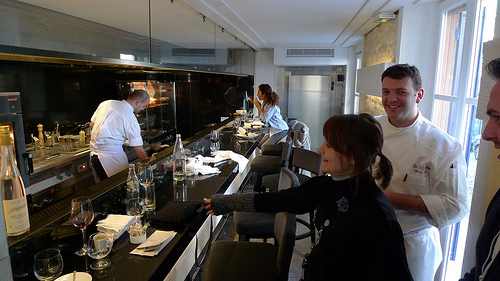 L’Atelier Saint-Germain de Joël Robuchon – Modern French. Note: Reservations through La Fourchette are ONLY accepted for the first seatings of each service. Les Climats – Modern French. Reserve through La Fourchette. La Ferme Saint-Simon – Classic French. Reservations can be made through their website. Garance – Modern French. Reservations through La Fourchette. Les Fables de la Fontaine – Classic French. Reservations can be booked through La Fourchette. Pottoka – Basque. Book through La Fourchette. La Laiterie Sainte-Clotilde – Classic French. Book through La Fourchette. Nakatani – Modern French. Book through La Fourchette. Auguste – Modern French. Reservations via their website. Bistrot Belhara – Basque, classic French. Reservations can be made on their website. Les Climats – Modern French. Reservations can be made on their website. Jean-François Piège, Le Grand Restaurant – Haute cuisine. Reservations through their website. Lucas Carton – Haute cuisine. Book through La Fourchette. Le Marché du Lucas – Modern French. Book via their website. L’Atelier Etoile de Joël Robuchon – Haute cuisine. Reservations through their website. La Maison de l’Aubrac – Classic French. Book via La Fourchette. Lasserre – Haute cuisine. Reserve via their website. Pierre Gagnaire – Haute cuisine. Reserve via their website. Taillevent – Haute cuisine. Reserve via their website. Alain Ducasse at the Plaza Athénée – Haute cuisine. Book via La Fourchette. Le Cinq – Haute cuisine. Book through their website. Le Gabriel – Haute cuisine. Book through La Fourchette. Les 110 de Taillevent – Classic French. Book via their website. Encore – Modern French. Reservations via La Fourchette. Bourgone Sud – Classic French. Book through La Fourchette. Braisenville – Modern French. Book through La Fourchette. L’Office – Modern French. Book through La Fourchette. Les Canailles – Classic French. Book through La Fourchette. Le Galopin– Modern French. Book through La Fourchette. Floyd’s Bar & Grill – American / British. Reserve via e-mail at bar.floyds@gmail.com. Hai Kai – Modern French. Reserve via e-mail at contact@haikai.fr. A Mère – Modern French. Groups of 8 or more need to reserve by telephone, but smaller parties can book directly on the website. Porte 12 – Modern French. Reserve via La Fourchette. Krishna Bhavan – Indian. Reserve through their website. Septime – Contemporary tasting menu. Book well in advance via their website. Au Passage – Small sharable plates. Reservations through their website for the first/early service only. Retro’Bottega – Italian. Reservations through La Fourchette. 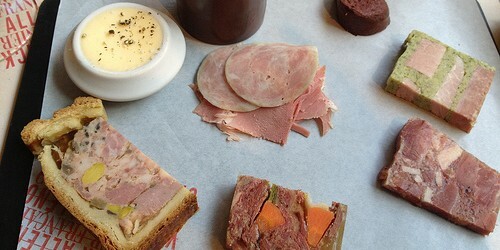 Jones – Small plates, modern French. Reservations through their website, although walk-ins are usually welcome, too. Le Perchoir -Small plates & tapas. Book the restaurant through La Fourchette. The bar accepts walk-ins. Fulgurances L’Adresse – Style changes every 6 months, depending on the chef-in-residence. Book through their website. Jeanne A – Classic French. Book through their website. L’Auberge Flora – Classic French. Book via La Fourchette. La Fine Mousse – Modern French & craft beer. Book via their website. La Pulperia – South American. Reserve through their website. Table – Modern French. Book through La Fourchette. L’Avant Goût – Classic French. Book through La Fourchette. 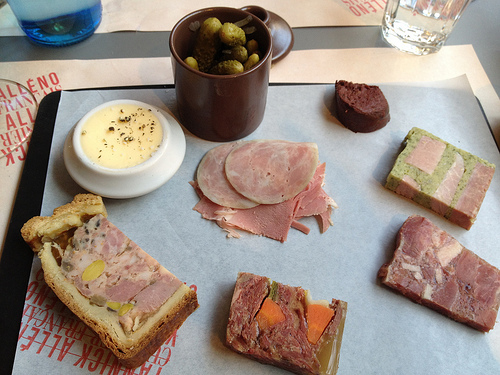 Au Petit Marguery – Classic French. Book through their website. L’Ourcine – Classic French. Book through their website. L’Assiette – Classic French. Book through La Fourchette. 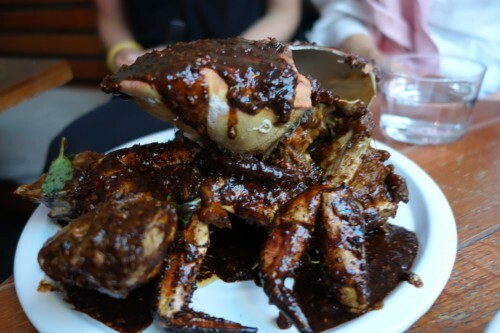 Le Dôme – Classic French, seafood, oysters & shellfish. Book through La Fourchette. La Régalade – Classic French. Book through La Fourchette. Ciel de Paris – Classic French with a view. Book through La Fourchette. Jadis – Classic French. Book through La Fourchette. Neige d’Eté – Modern French. Book through La Fourchette. Le Pario – Modern French. Book through La Fourchette. Hexagone – Modern French. Reservations through its website. Histoires – Haute cuisine. Reservations via its website. La Grande Cascade – Haute cuisine. Book through La Fourchette. Les Tablettes – Modern French. Book through La Fourchette. 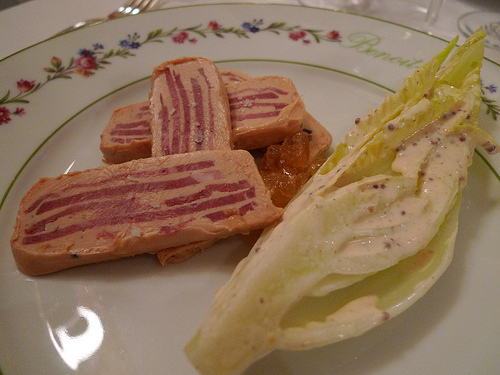 Chez Géraud – Classic French. Book through La Fourchette. L’Abeille – Haute cuisine. Reservations on its website. Shang Palace – Chinese haute cuisine. Book via its website. Pages – Modern French. Book well in advance via La Fourchette. Lili – Chinese. Book via its website. Gare au Gorille – Modern French. Book through La Fourchette. Rech – Seafood, oysters & shellfish. Book through La Fourchette. Fréderic Simonin – Modern French. Book through its website. L’Huîtrier – Oysters & shellfish, seafood. Book via its website. 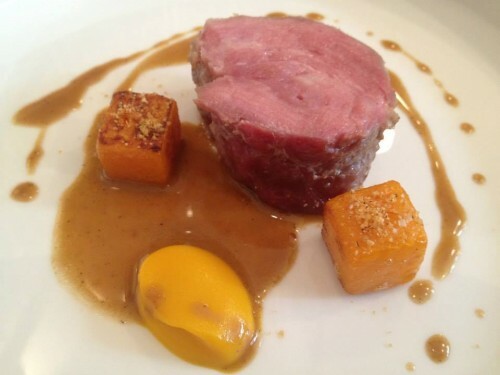 Michel Rostang – Classic French, haute cuisine. Book via its website. Le Coq Rico – Classic French rotisserie. Book via La Fourchette. Chamarré Montmartre – Modern French. Book via their website. Jeanne B – Classic French. Book via their website. La Rallonge – Small plates & tapas. Book through their website. La Table d’Eugène – Modern French. Book through their website. Au Boeuf Couronné – Classic French, steak joint. Reservations through their website. Dilia – Modern Italian. Book through their website. Le Baratin – Classic French. Book via La Fourchette. All nice restaurants here noted in Paris. I like to take Floyd’s Bar & Grill most. Its very testy. Appreciate for this article.